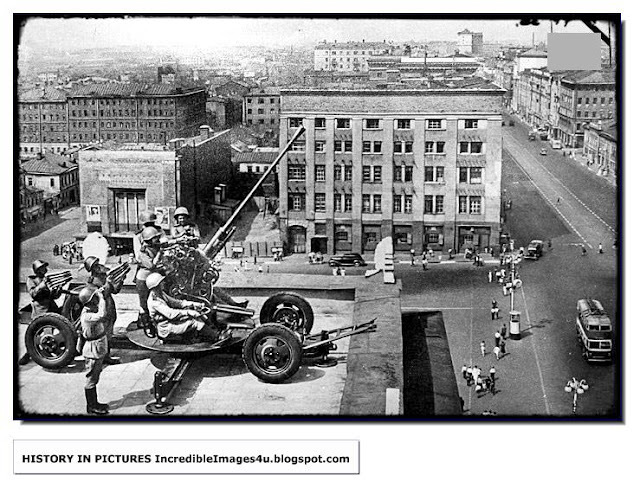 Many think that Stalingrad was the turning point of the Second World War. But the moment in the war that began the decline of Nazi Germany was that one winter day in Russia in 1941 when Stalin paced the platform of Moscow station for some time and then did not climb aboard a train that would take him 600 miles east. 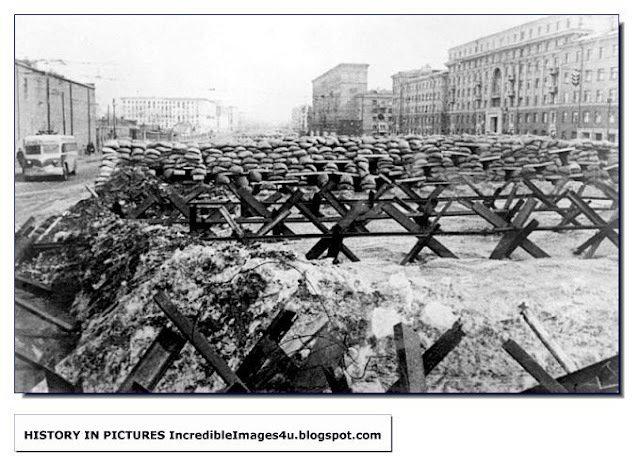 By mid-October 1941, most of Moscow's residents were convinced that their city was about to be overrun by the Germans. The NKVD, as the Soviet secret police was then called, had prepared the first of what promised to be a series of pamphlets. "Comrades! 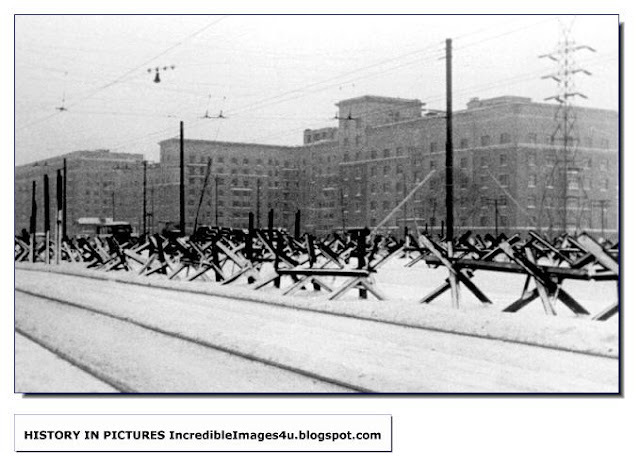 We left Moscow due to the continuous attacks of the Germans," it declared. "But it's not the right time for us to weep." The "Underground Party Committee" that signed the statement vowed that Moscow would be liberated. Since the city held out in the end, this admission of defeat was ultimately buried in the NKVD's classified files rather than distributed. In fact, much of the story of how close Moscow came to falling—a defeat that would likely have transformed the course of the war—has been obscured by decades of deliberately distorted history. Now it's a story that can be told. The battle for Moscow, which officially lasted from Sept. 30, 1941, to April 20, 1942, pitted two gargantuan armies against each other in what was the greatest clash of arms in human history. 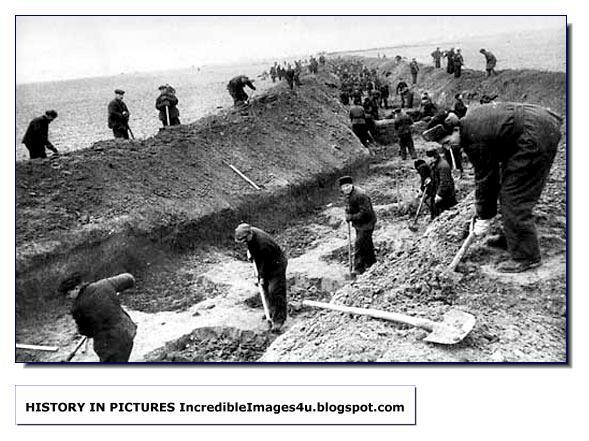 Seven million men were involved in some stage of this struggle—twice the number who would later fight at Stalingrad, which most people erroneously believe was the bloodiest battle of World War II. 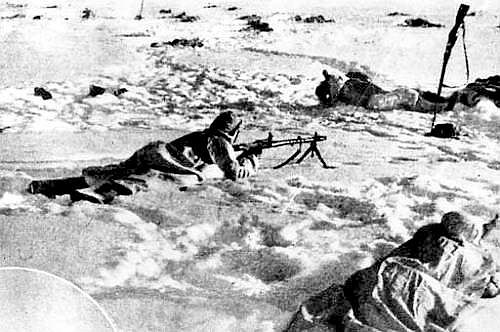 The losses were more than twice that of Stalingrad; during the battle for Moscow, 2.5 million were killed, missing, taken prisoner or severely wounded, with 1.9 million of those losses on the Soviet side. For the first time a Hitler blitzkrieg was stopped, shattering his dream of a swift victory over the Soviet Union. 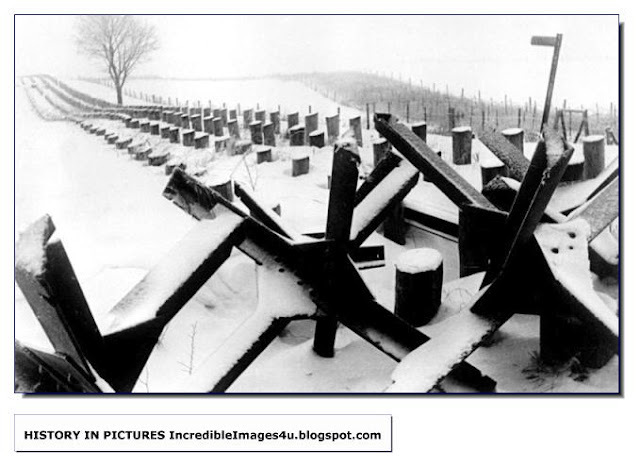 The defeat was also the first signal that Germany would lose the war. As Fabian von Schlabrendorff, a German officer who later joined the conspiracy against Hitler, explained, it destroyed "the myth of the invincibility of the German soldier." And yet the battle for Moscow is now largely forgotten. This is no accident. Any honest account of the battle for Moscow would undermine the Soviet story line of "The Great Patriotic War." Those sanitized versions, now reinforced in the era of President Vladimir Putin, portray Joseph Stalin as a military genius and his people as heroically united against the German invader. (It's no coincidence that Stalin's reputation plummets when there's a period of liberalization in Russia and rises when there's a new clampdown.) But it was Stalin's blunders, incompetence and brutality that made it possible for German troops to approach the outskirts of Moscow—and to kill or capture so many Soviet troops along the way. 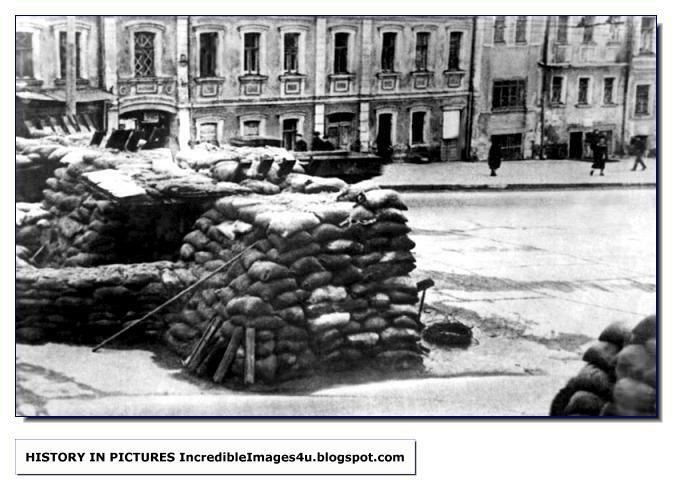 dug bunkers to shelter from the cold as much as from enemy bombardment. Boris Vidensky was a cadet at the Podolsk Military Academy when the war started and was one of the lucky few of his class who survived when they were thrown, thoroughly unprepared, against the advancing Germans. He went on to become a senior researcher at the Military History Institute in Moscow. In retirement, he recounted that after the war, Marshal Georgy Zhukov, the legendary Red Army commander, ordered his deputy to roughly calculate the losses of his troops near Moscow. When the deputy showed him the number he came up with, Zhukov quickly barked out an order: "Hide it and don't show it to anybody!" It wasn't just the human toll that was embarrassing; after all, Stalin always considered his soldiers—and anyone else—to be expendable. He never flinched at sending millions to their deaths. More unsettling was that fact that, while some troops fought heroically from the start, hundreds of thousands surrendered to the enemy at the moment of the country's greatest peril. And many civilians panicked, engaging in looting and other forms of lawlessness that were normally unthinkable in Stalin's police state. No wonder that Soviet histories preferred to move on quickly to talk about other battles. Those Muscovites who remember Oct. 16, 1941, the day when everyone assumed the Germans were about to arrive, still speak about it with a sense of astonishment. 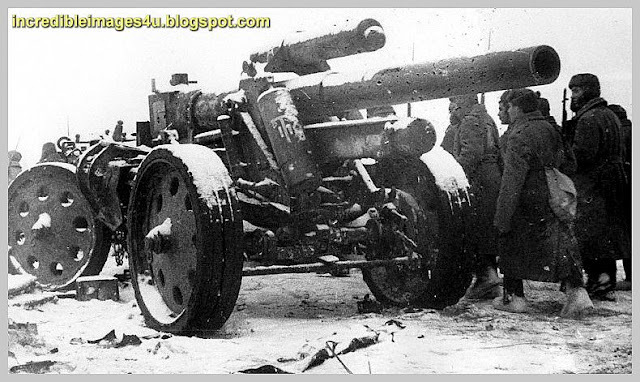 Dmitry Safonov, who was working at an artillery factory near Moscow that was to be evacuated to the Urals, had returned that day to pick up some belongings. "All of Moscow seemed to be streaming out somewhere," he recalled. Cars and trucks were loaded down with personal belongings, and at the railroad station Safonov saw suit-cases, bags, clothes, lamps, even a piano, all abandoned by those who were trying to board anything that was moving out. The train platforms were jammed with people. "I hardly recognized the city," he said. Looters attacked food stores, factory workers went on strike, and angry crowds blocked those who were trying to flee in cars, pulling them out, beating and robbing them. Other residents tore down their posters of Marx and Lenin, stuffing them and other communist propaganda into garbage bins outside. That would have been an unspeakable crime before, but no one was enforcing the old rules. Thick black smoke arose from the chimneys of the Lubyanka, the NKVD headquarters, as the secret police hastily burned their files. 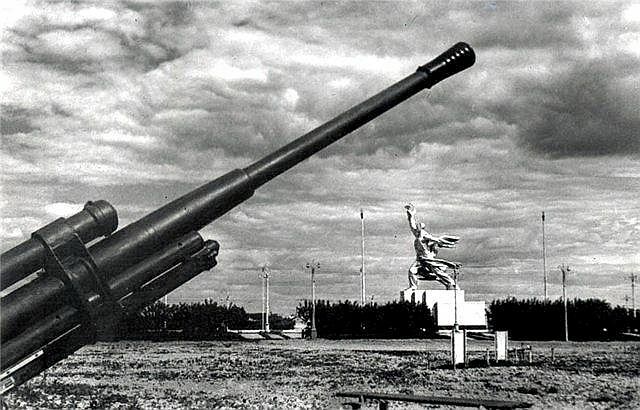 Much of the Soviet government, along with foreign diplomats and journalists, had just been evacuated by rail to Kuibyshev, the Volga city about 600 miles away that was supposed to serve as the new base for the government once the capital fell. And Stalin was expected to join them within a day or two. A special train was already waiting at the station, along with his personal Douglas DC-3 and three other planes in case he had to make an even hastier exit. Stalin's policies and gross miscalculations had led to this near disaster. 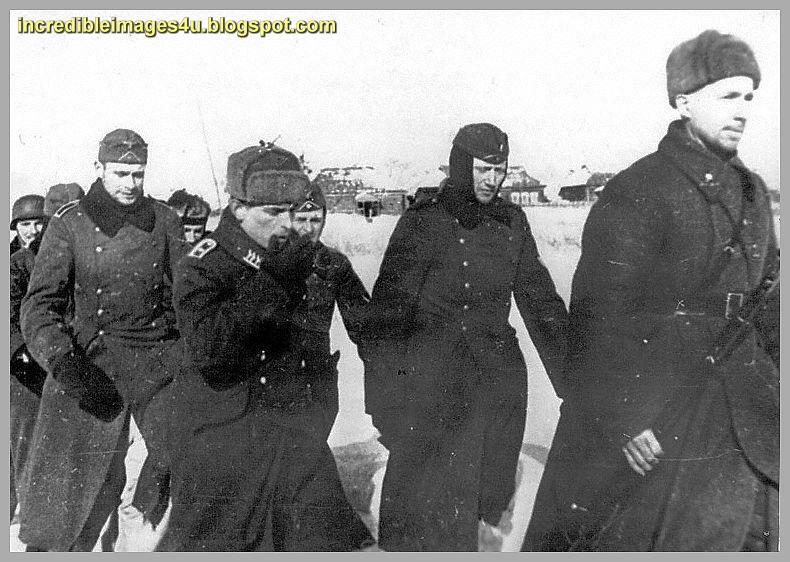 His wholesale purges of the Red Army in 1937 and 1938 deprived the military of many of its most experienced officers. Among the first victims: Marshal Mikhail Tukhachevsky, the aristocrat turned Red Army commander who had predicted that Germany could attack without warning and that the result would be a long, costly conflict. "What are you trying to do—frighten Soviet authority?" Stalin demanded. The Soviet dictator then had him tortured and executed for allegedly plotting a coup with the help of German fascists. Thousands of other senior officers met a similar fate. After he made common cause with Hitler by agreeing to the Soviet-Nazi nonaggression pact of Aug. 23, 1939, Stalin refused to heed countless warnings from his own spies and Western governments that the Germans were about to invade. He did not allow his military leaders to put their men on alert, which led to the initial string of German victories. 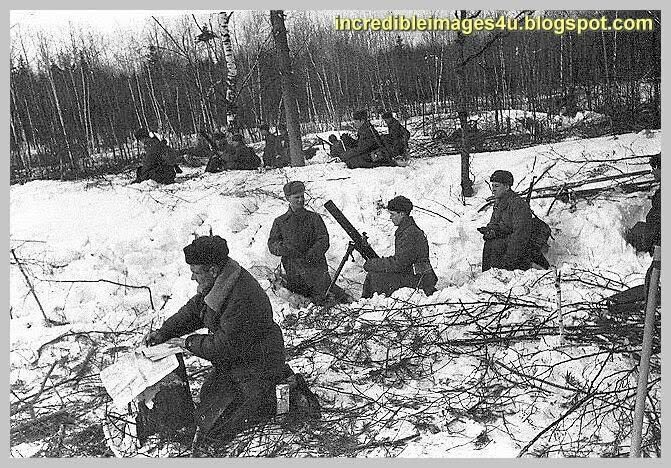 The invaders killed or captured huge numbers of Red Army troops, and seized weapons caches that had been left near the border area. 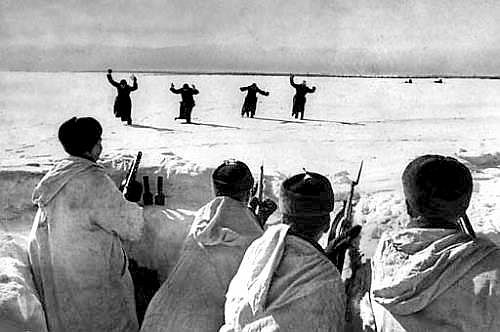 As a result, many Soviet troops were sent into battle without guns. Ilya Druzhnikov, a book illustrator dispatched to the front, recalled that there was only one rifle available for every 10 men in his unit. This meant that unarmed soldiers trailed each armed man, waiting for him to fall so that one of them could pick up his weapon. Stalin was ultimately saved by Hitler's even bigger blunders. 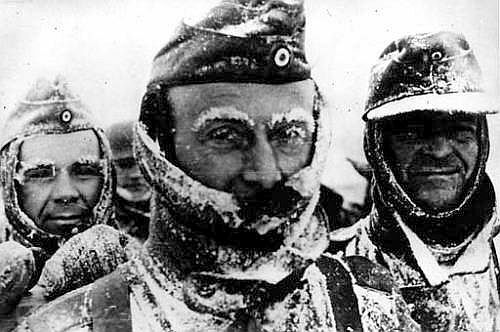 The German dictator sent his armies into Russia in late June 1941 without winter clothing: the Führer was convinced they would triumph before the weather turned. By mid-July, the Germans had advanced to the Smolensk region, and Hitler's generals, like the panzer commander Heinz Guderian, wanted to keep driving due east to Moscow, only about 230 miles away. But Hitler ordered them to turn south and take the Ukraine first. They did, losing precious time in the process. 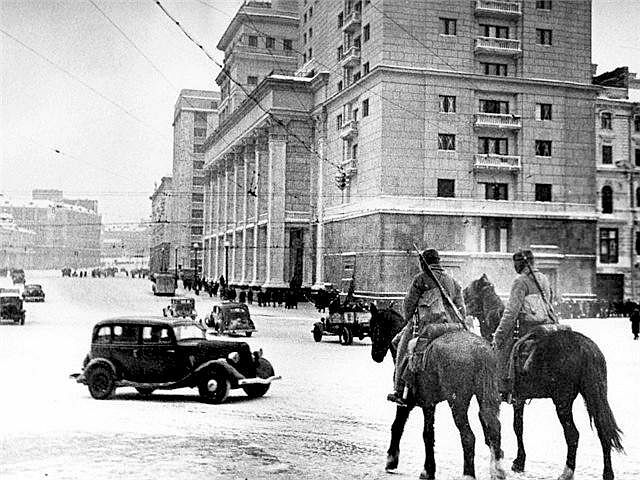 Once "Operation Typhoon" was launched against Moscow on Sept. 30, the roads quickly turned to mud during the rainy season and then the temperatures began plummeting. 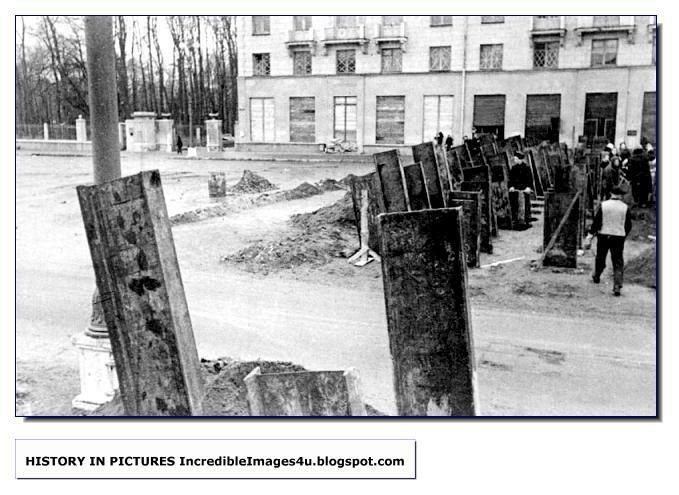 Wrapping themselves in anything they could steal from the civilian population, the Germans still froze—and their bodies were often left stacked like firewood since they couldn't be buried till spring. Soviet resistance noticeably stiffened. Hitler's insistence on launching an immediate reign of terror in the occupied Soviet territories and the merciless treatment of Soviet POWs, most of whom perished, proved a boon to Stalin's efforts to rally his troops. But he wasn't taking any chances. 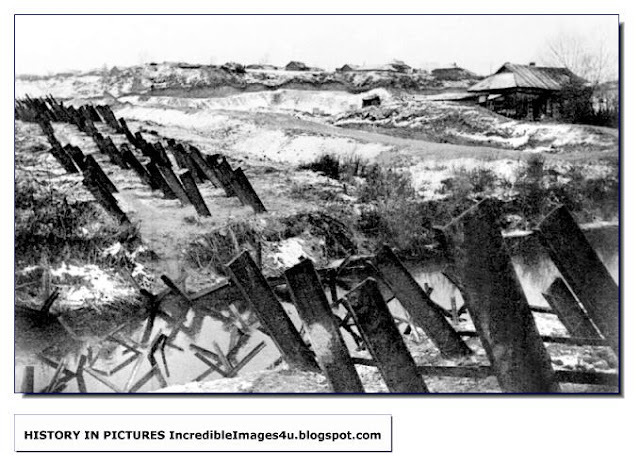 "Blocking units" were set up behind Red Army lines with orders to machine-gun any soldiers who tried to retreat. The delay of the German drive to Moscow also provided Stalin with time to redeploy about 400,000 troops stationed in Siberia, once he became convinced Japan wouldn't attack from the east. 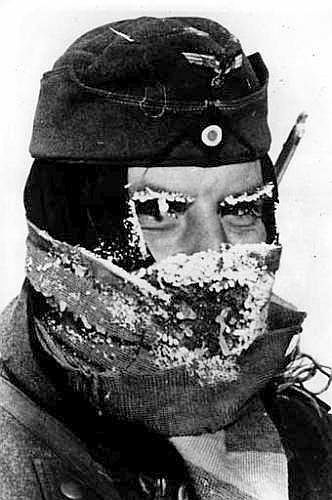 These troops, equipped with full winter gear, soon began to score victories against the overextended, exhausted, freezing Germans. On Oct. 16, the worst day of the panic in Moscow, Stalin was not yet confident of such an outcome. An Air Force officer saw him sitting at his desk asking himself again and again, "What shall we do? What shall we do?" 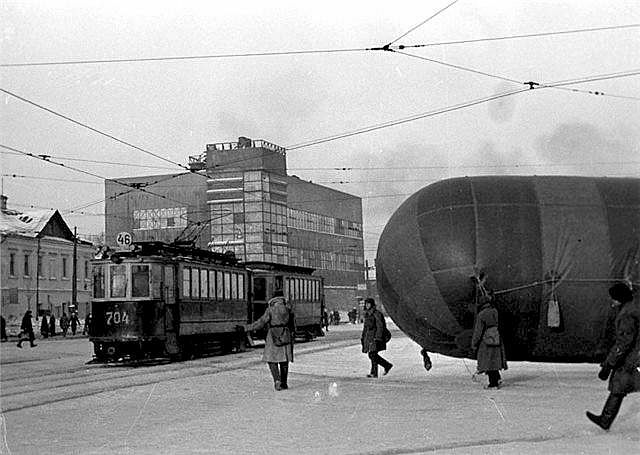 Two days later, the Soviet leader went to the station where his special train was waiting. As Pavel Saprykin, who was part of the work detail that prepared the train, recalled in his old age, he saw Stalin walk up to his carriage, then pace the platform beside it. But he didn't board it. Instead, he left the station. It proved a fateful decision, signaling that all was not lost. Vowing to remain in Moscow, Stalin suddenly took charge again, reverting to the tactic he had always relied on—brute force. He declared martial law on Oct. 19, and NKVD units were ordered to shoot looters along with almost anyone who looked suspicious. Surviving members of those patrols, such as Yevgeny Anufriyev, are cautious in describing what they actually did. "We had an amazing order to shoot spies and deserters on the spot," he said. "But we didn't know how to figure out who was a spy." However many Muscovites were shot, the looting and the unrest stopped. But the memories of the breakdown of law and order, and how close Moscow came to falling, remain sensitive to this day. Stalin's mistakes were never mentioned in the official histories. Nor do those accounts admit that if it weren't for Hitler's even greater mistakes, Stalin wouldn't have been able to save his capital—and, quite possibly, might never have prevailed in the larger struggle. When Napoleon was stopped at Moscow in 1812, the first real cracks in his imperial system opened up. It took Leipzig and Waterloo to finish him off, but Moscow was a decisive turning-point. More than a century later, Hitler learnt the same harsh lesson. 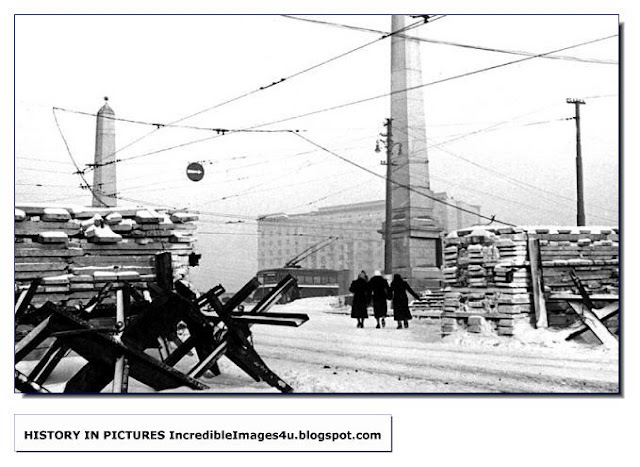 Stopped at Moscow in December 1941, the German army was finally finished off at the battle for Berlin four years later. The failure to take the capital (even Napoleon managed to capture a burnt and abandoned city) was the first time since September 1939 that the seemingly unstoppable German armed forces were halted. Moscow would perhaps never have been threatened had Stalin accepted the manifold warnings of imminent German attack in the early summer of 1941. As it was, he stuck rigidly to the idea that Hitler could not attack while Britain remained undefeated. Soviet forces were ill equipped and ill positioned to halt the German offensive which rolled across the western Soviet Union throughout the summer and autumn, and by October some German armies were within striking distance of Moscow. 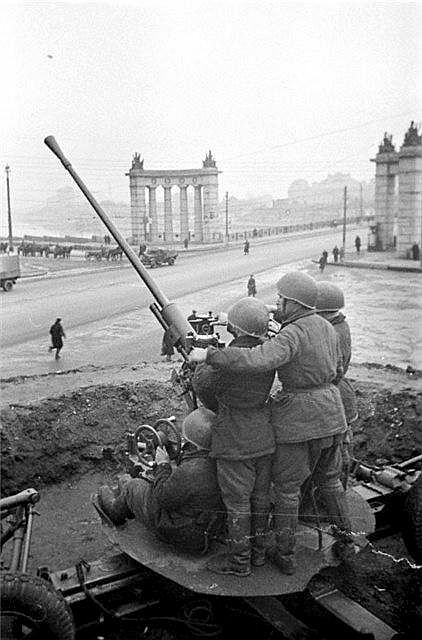 By early December, the lead German Panzer Groups stood less than 30 kilometers from the Kremlin, and Wehrmacht officers were able to see some of Moscow's buildings with binoculars; but the Axis forces were unable to make further advances. 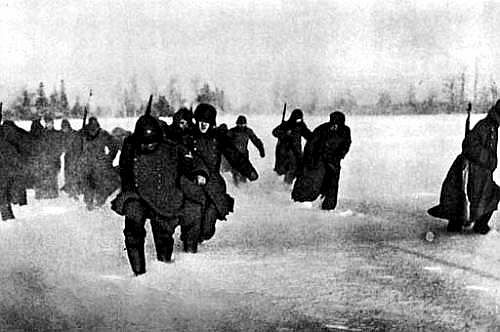 On December 5, 1941, fresh Soviet Siberian troops, prepared for winter warfare, attacked the German forces in front of Moscow; by January 1942, the Soviets had driven the Wehrmacht back 100 to 250 km , ending the immediate threat to Moscow and marking the closest that Axis forces ever got to capturing the Soviet capital. 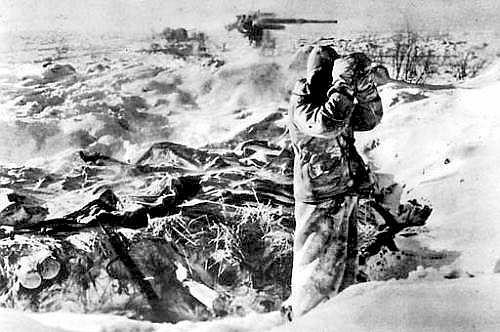 The Battle of Moscow was one of the most important battles of World War II, primarily because the Soviets were able to successfully prevent the most serious attempt to capture their capital. The battle was also one of the largest during the war, with more than a million total casualties. It marked a turning point as it was the first time since the Wehrmacht began its conquests in 1939 that it had been forced into a major retreat. The Wehrmacht had been forced to retreat earlier during the Yelnya Offensive in September 1941 and at the Battle of Rostov (which led to von Rundstedt losing command of German forces in the East), but these retreats were minor compared to the one at Moscow. 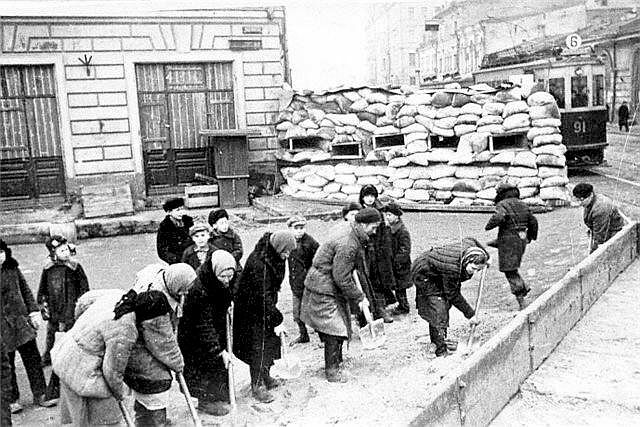 "It is the Führer's unshakable decision to raze Moscow and Leningrad to the ground, so as to be completely relieved of the population of these cities, which we would otherwise have to feed through the winter. The task of destroying the cities is to be carried out by aircraft." "The Führer has reaffirmed his decision that the surrender of Moscow will not be accepted, even if it is offered by the enemy." 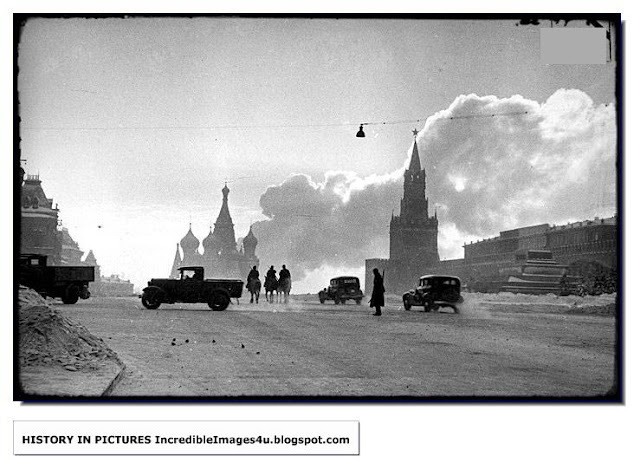 Moscow now started to become the target of German air raids. 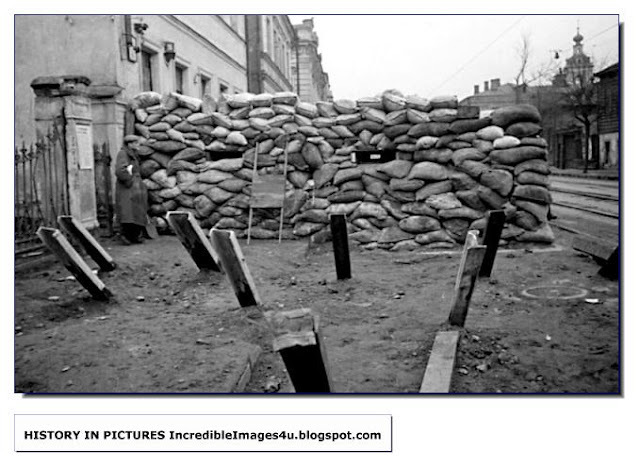 The population was ordered to build barricades in the city's streets, even in the proximity of the Kremlin itself. The Soviet government was evacuated east to the city of Kuybyshev, (modern-day Samara), yet the Soviet leader Stalin remained in Moscow. To set an example of determination for the soldiers and increasingly despairing civilians, he ordered the traditional military parade on 7 November, commemorating the anniversary of the October Revolution, to be conducted on the Red Square, in spite of the danger of German bombardment. 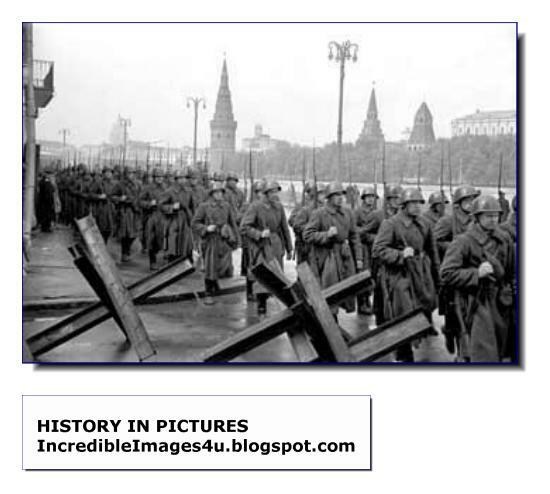 The troops paraded along the Kremlin and then marched directly to the battlefront. 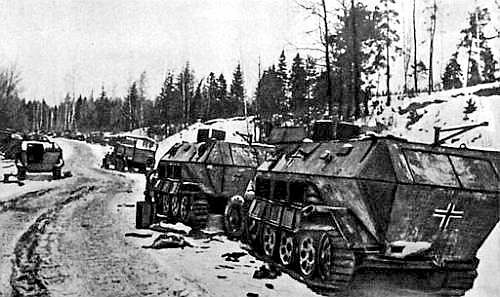 Dead Germans who fell on the failed drive to Moscow. Germans reached within 20 kms of Moscow. They had reached the suburbs. Meanwhile, German progress was already slowing down. 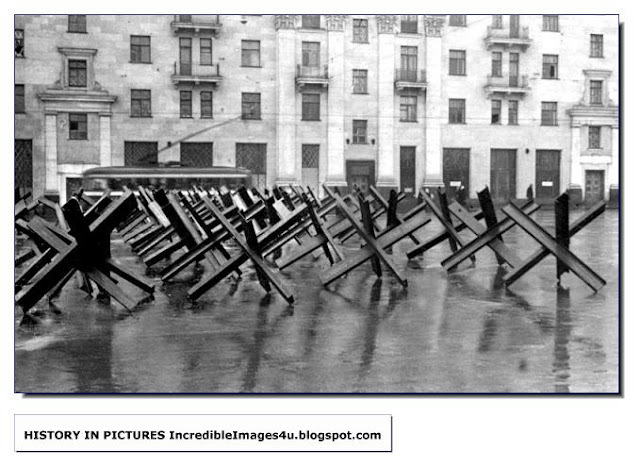 The Germans had been almost paralysed when the autumn rains set in, turning roads into stretches of mud. When the frost set in early November, the Germans could use the roads again, but faced the problem of not being well equipped for winter warfare, as Hitler had anticipated a quick victory in the summer. 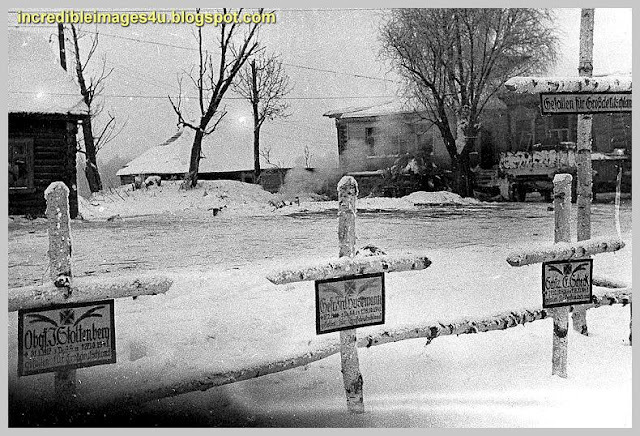 Warm clothing and white camouflage suits were lacking, and more and more tanks and other vehicles were immobilised as temperatures dropped well below freezing. 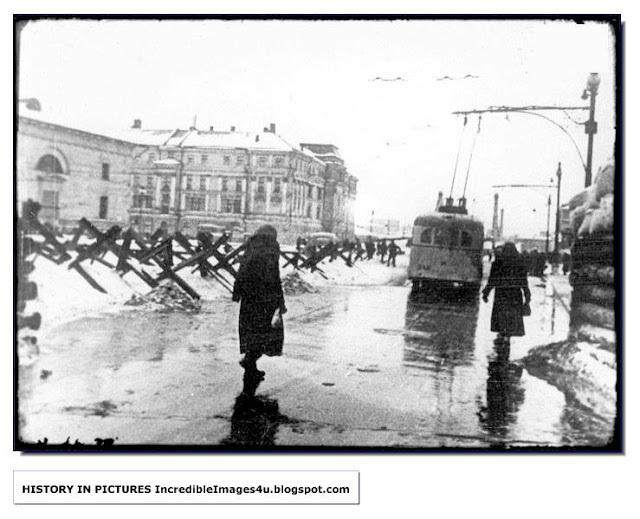 Indeed, the winter of 1941-1942 was unusually cold even by Russian standards. Soviet defence on the approaches to Moscow grew increasingly desperate. The Soviets sent in thousands of recruits and volunteers, even women's battalions into German machine-gun fire. It was in front of Moscow that the term Panfilovets was coined: Ivan Panfilov, commander of the Soviet 316th Rifle Division, died in fierce self-sacrificing infantry combat against German tanks. Only a handful of heavily wounded Soviet soldiers survived the carnage; large numbers of German soldiers were killed as well.